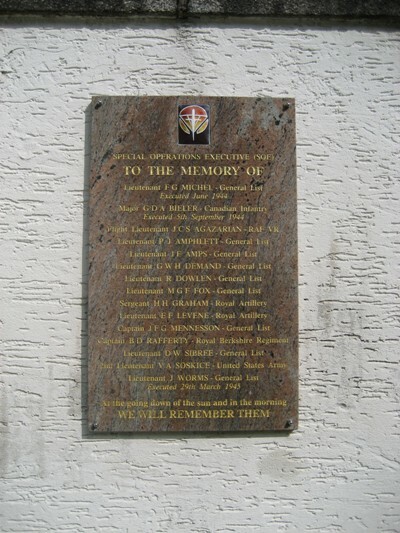 This plaque, at the former Flossenbürg concentration camp, commemorates the agents of the S.O.E. (Special Operations Executive) who were executed here. 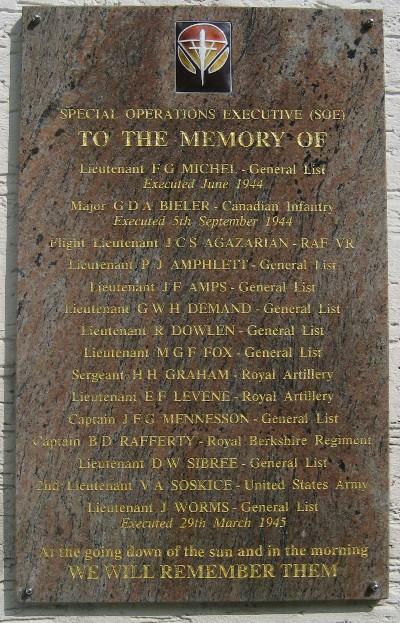 The 15 men belonged to SOE’s F Section, responsible for fomenting resistance and carrying out sabotage in Nazi-occupied France. Nine were British, four were French, one was American and one was Canadian. 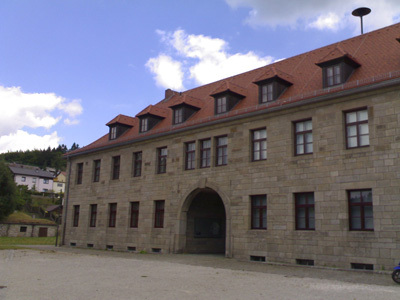 Captured in different places at different times, they were brought together in Flossenbürg Concentration Camp in April 1944. After months of suffering, all were executed. Two were shot in 1944, the others were hanged on 29 March 1945.